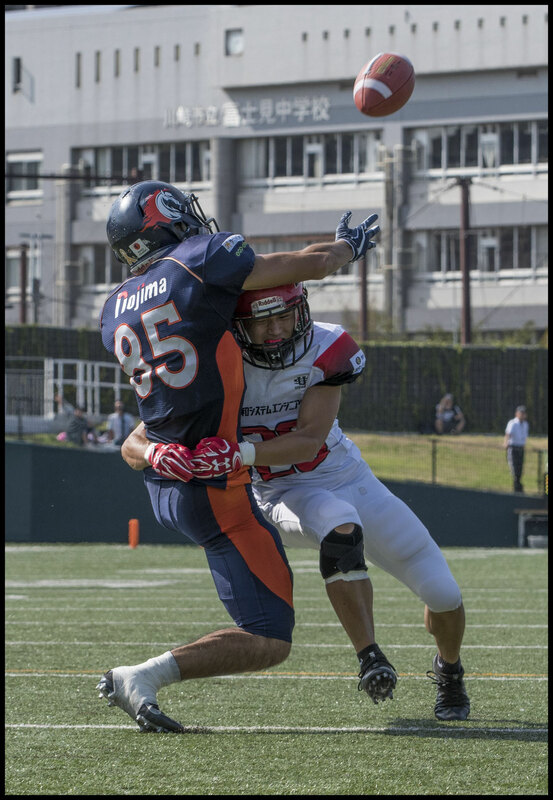 Nojima Sagamihara Rise hung 84 points on the Bulls in a game that was over as a contest just seven seconds after it began. 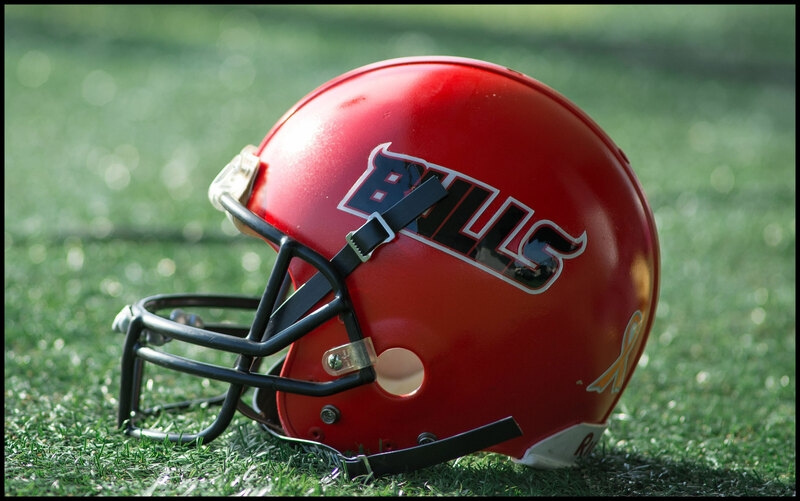 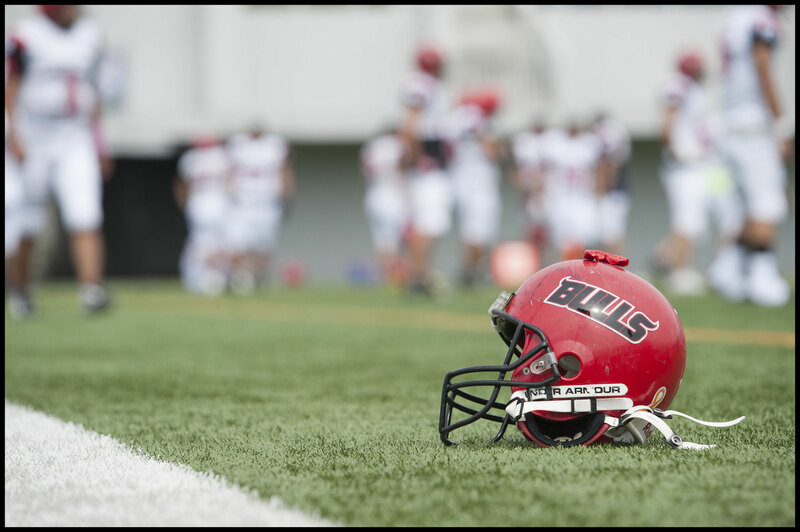 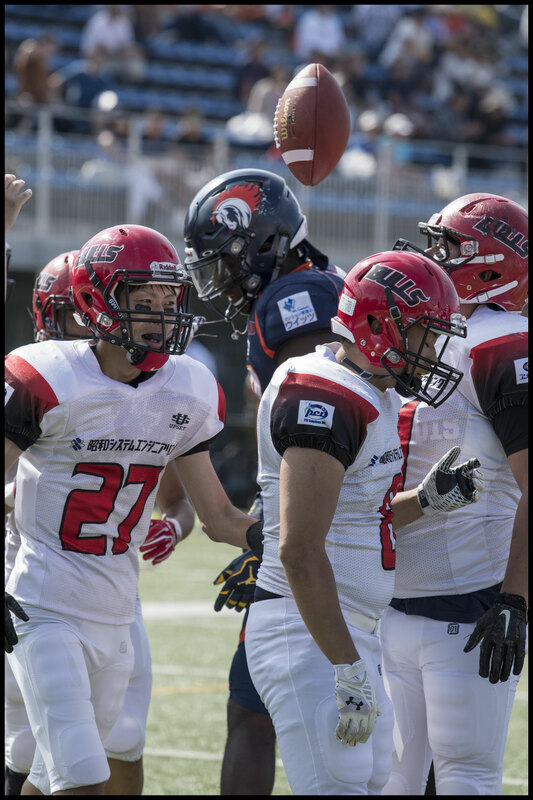 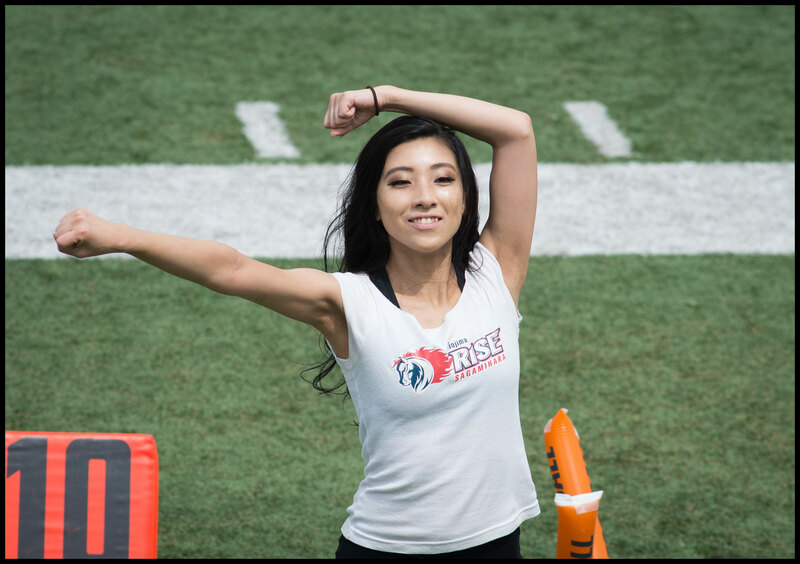 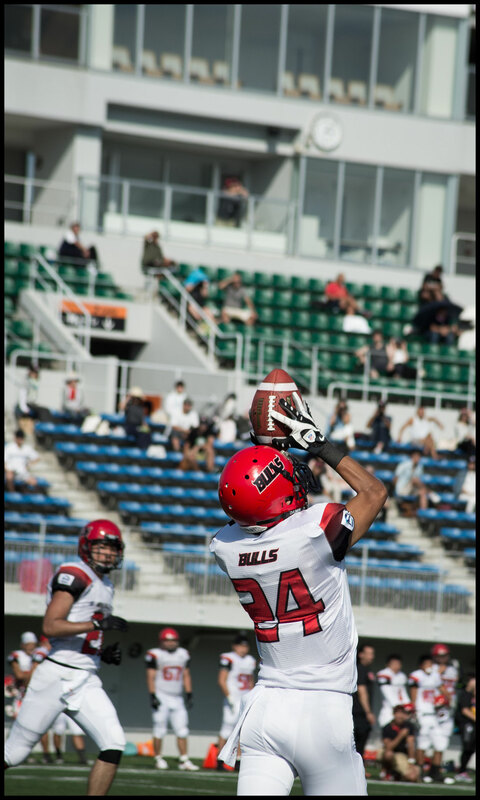 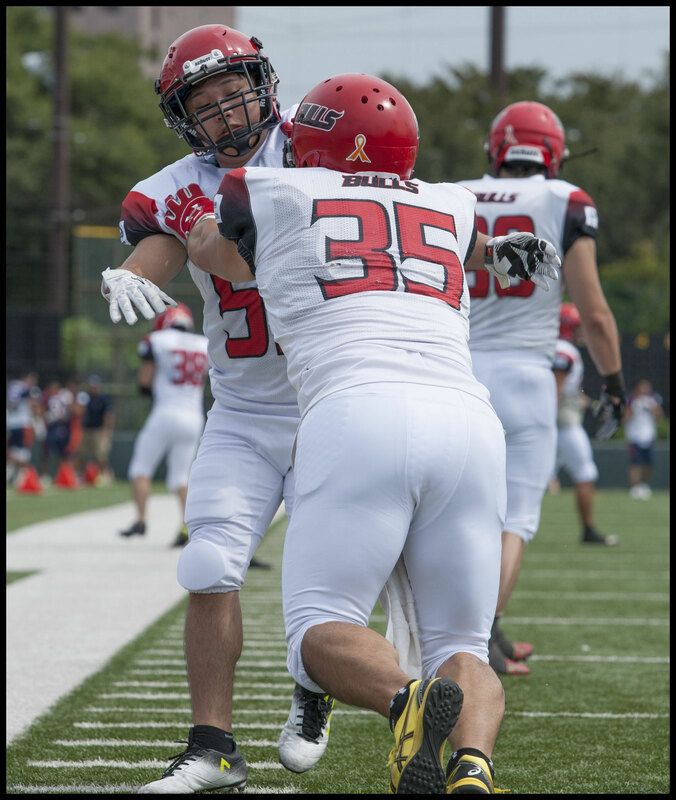 Starting the season with a surprise onside kick the Bulls went behind immediately when it was returned for a touchdown by DB Toru Sakuma. 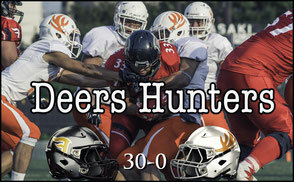 We’ve seen teams rebound strongly from such setbacks in the past. 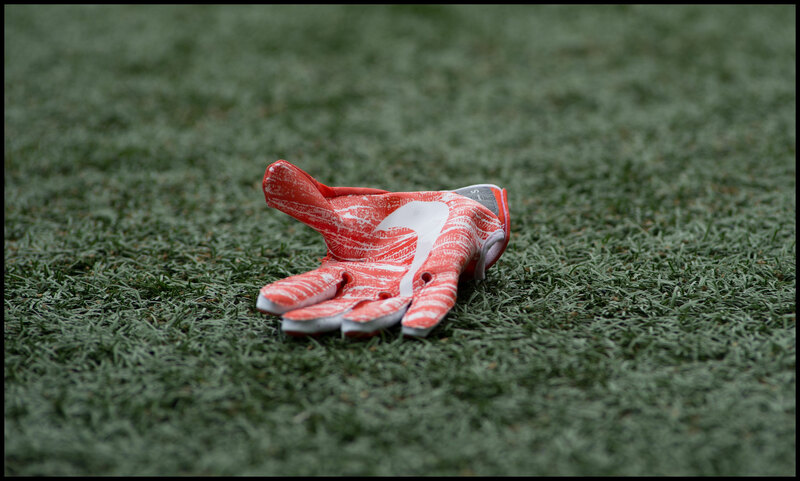 The Indianapolis Colts even won a Super Bowl after giving up a TD on the opening kickoff. 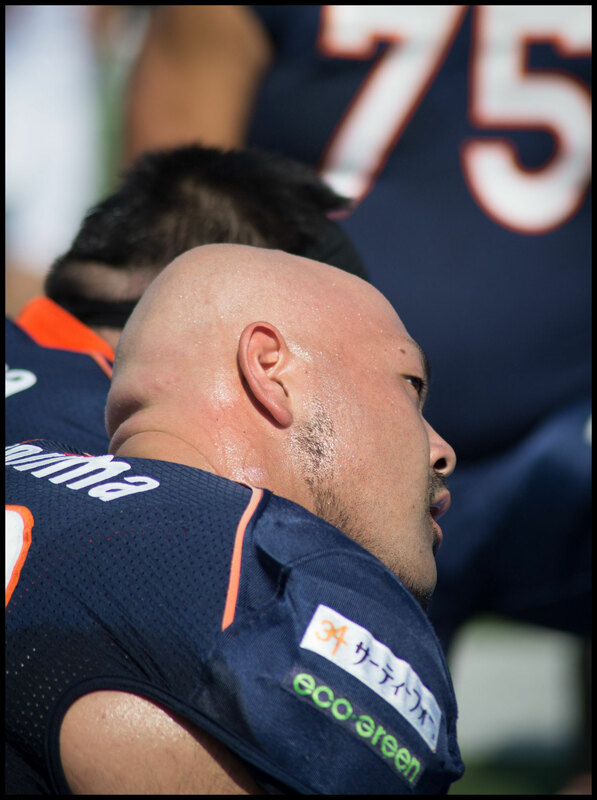 These Bulls though are no Colts and before the game was even two minutes old they were already 14 points in arrears as QB Devin Gardner threw a touchdown to wideout Yuhei Yagi. 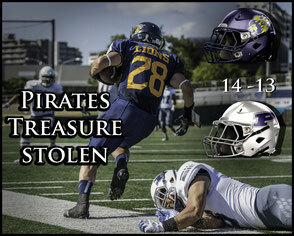 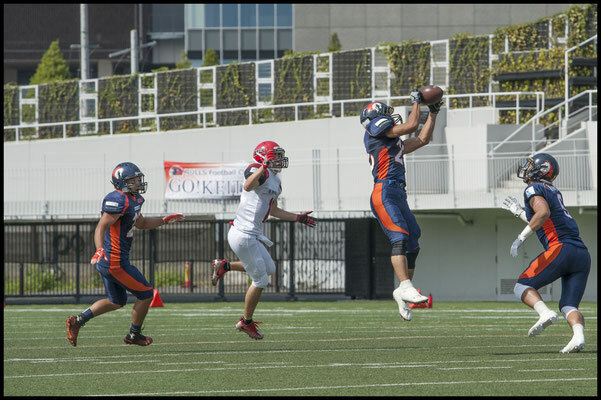 Yagi would finish with 121 yards receiving and three TDs. 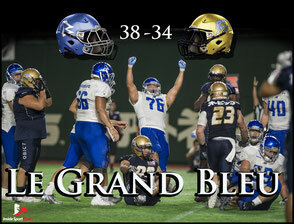 Gardner himself would add two more scores in the air and three on the ground before leaving the game at halftime with, appropriately enough, the Hawaii 5-0 theme playing in the background (the score was 56-0 at that stage). 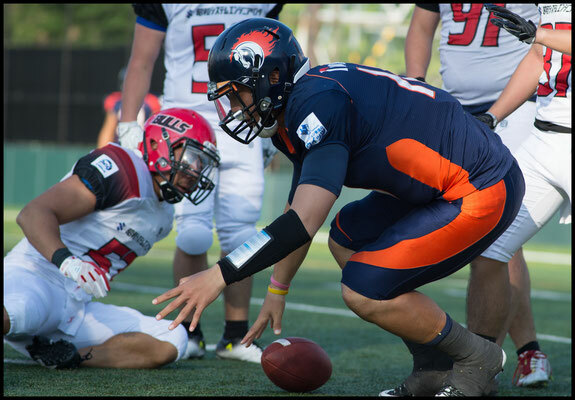 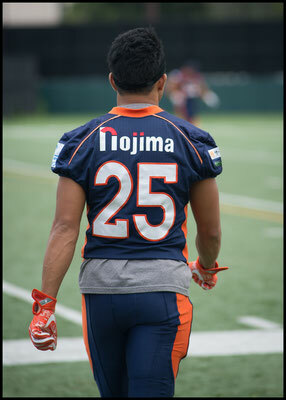 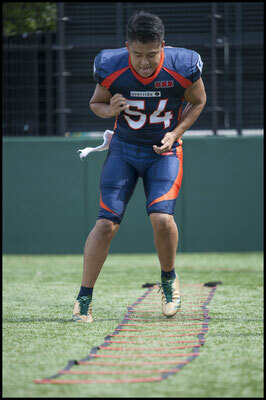 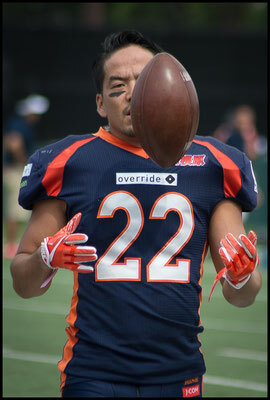 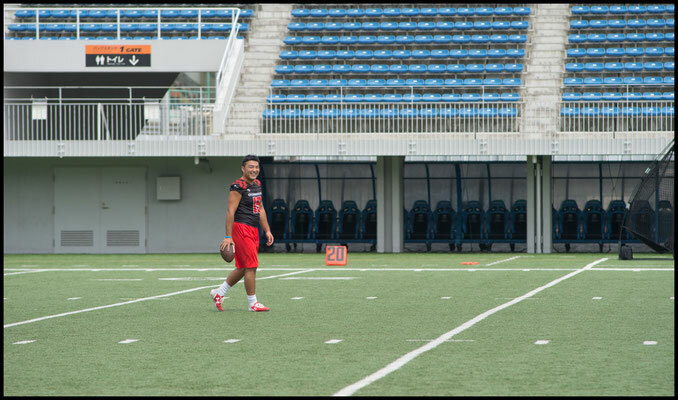 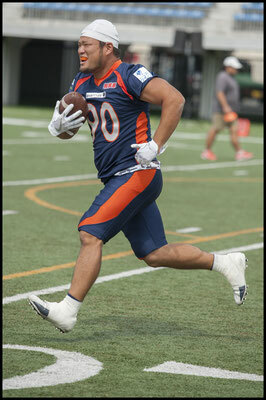 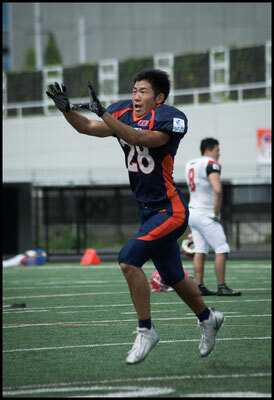 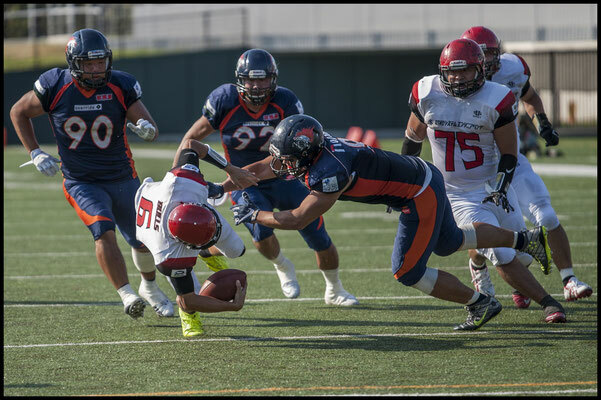 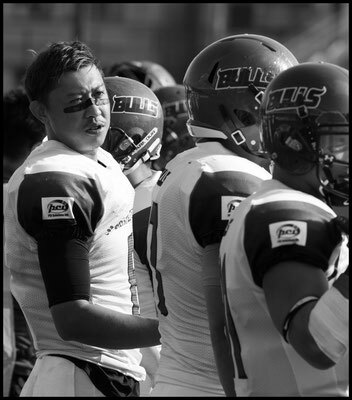 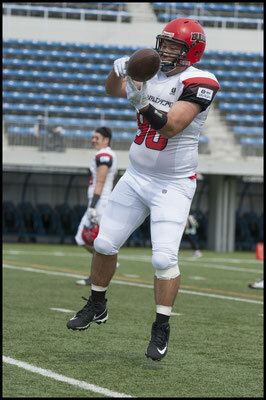 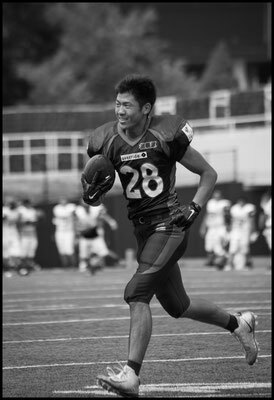 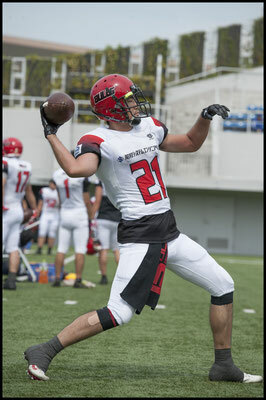 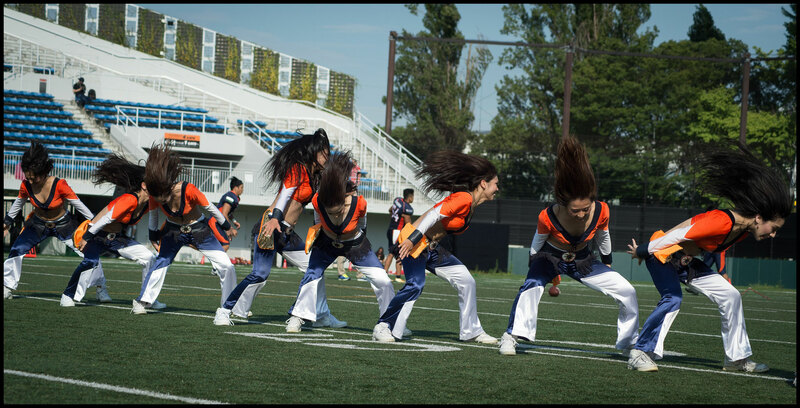 The onslaught didn’t stop after the break though with replacement QB Ryo Fujimoto throwing for three scores. 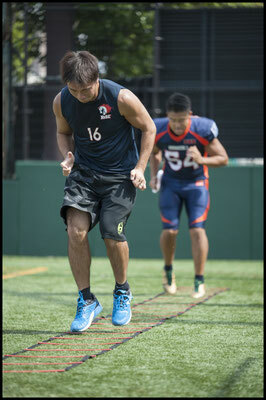 Kickers Kohei Ichimori and Kenta Suzuki alternated all day and they were a perfect 12 for 12 combined. 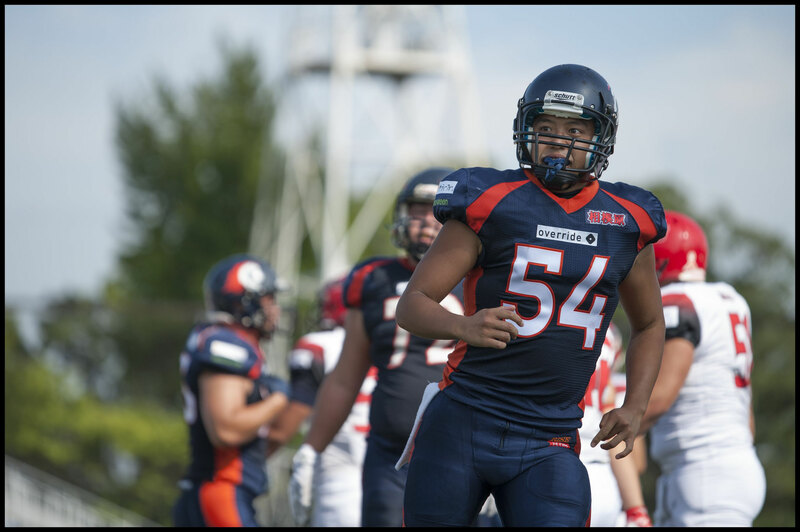 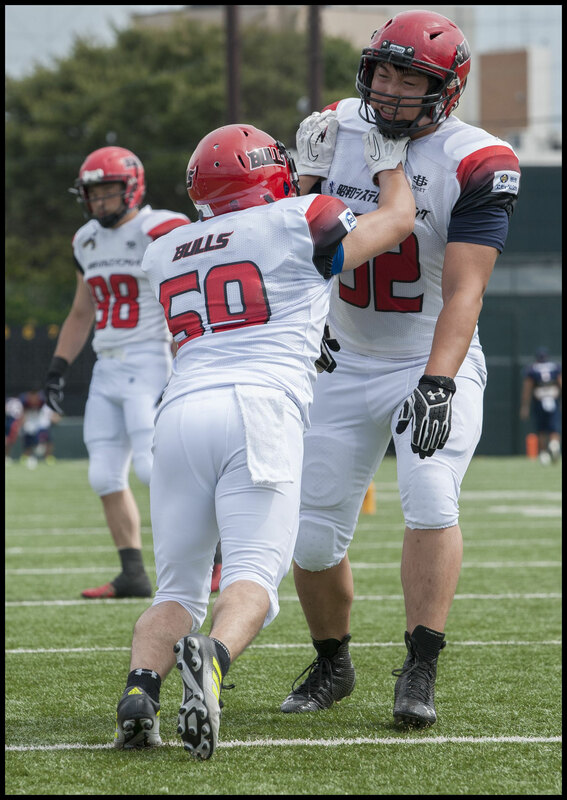 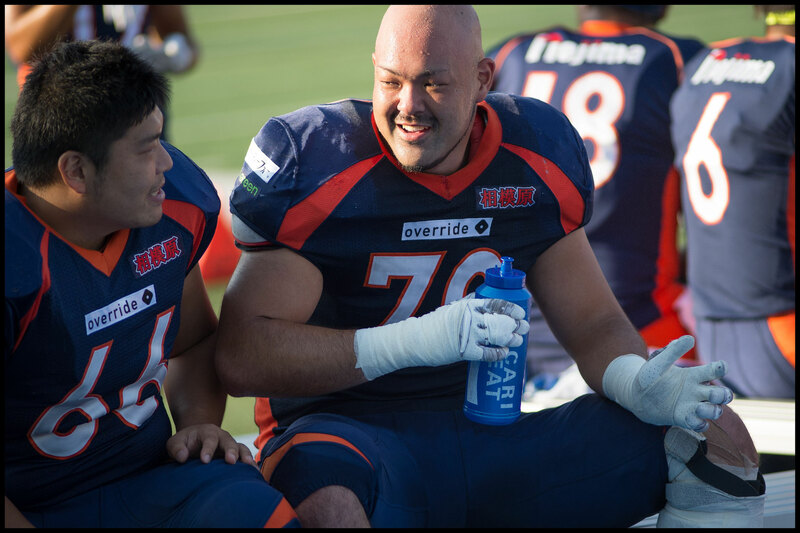 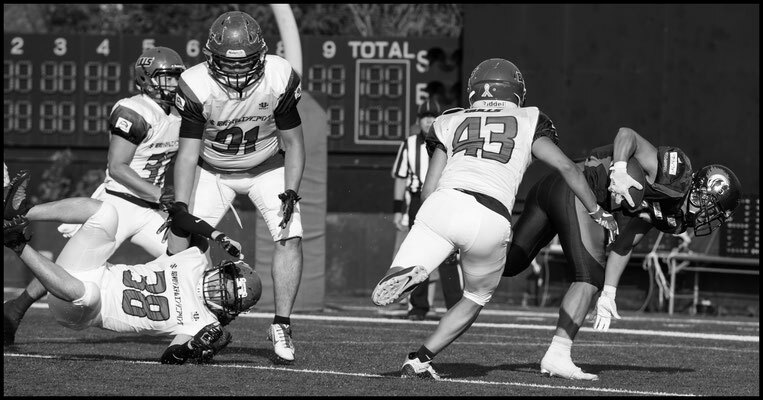 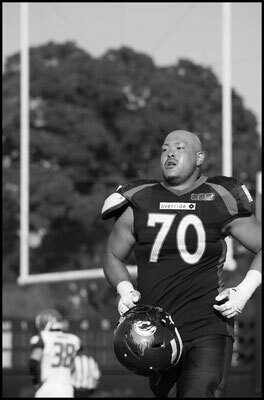 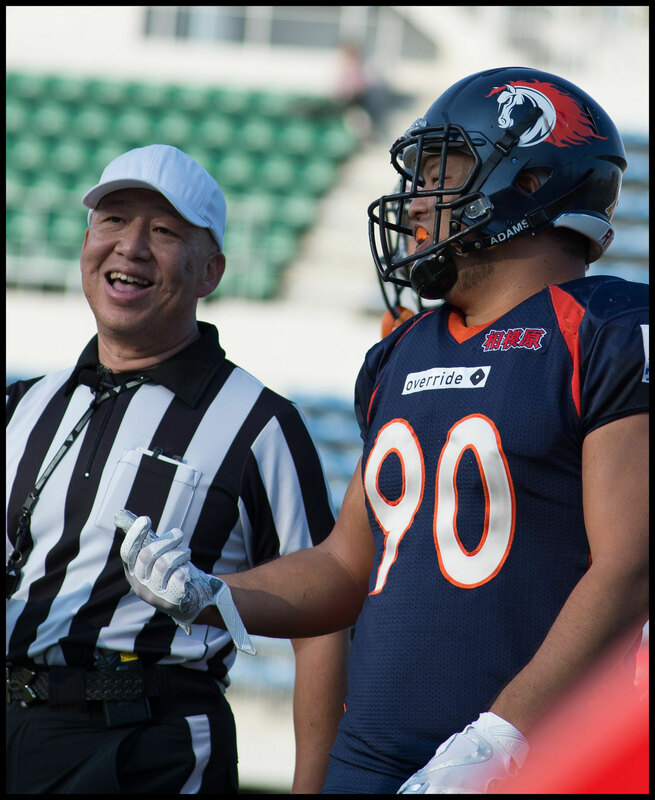 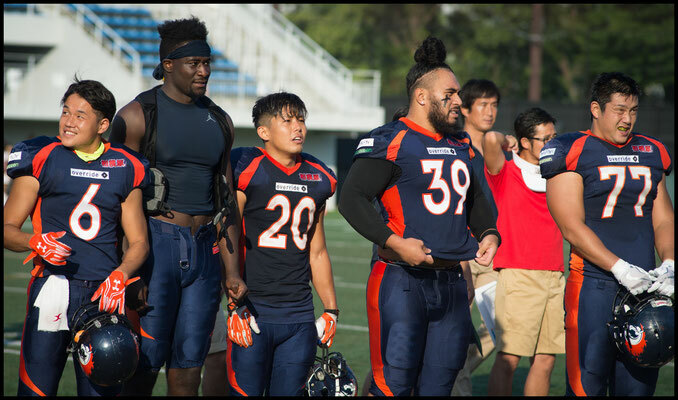 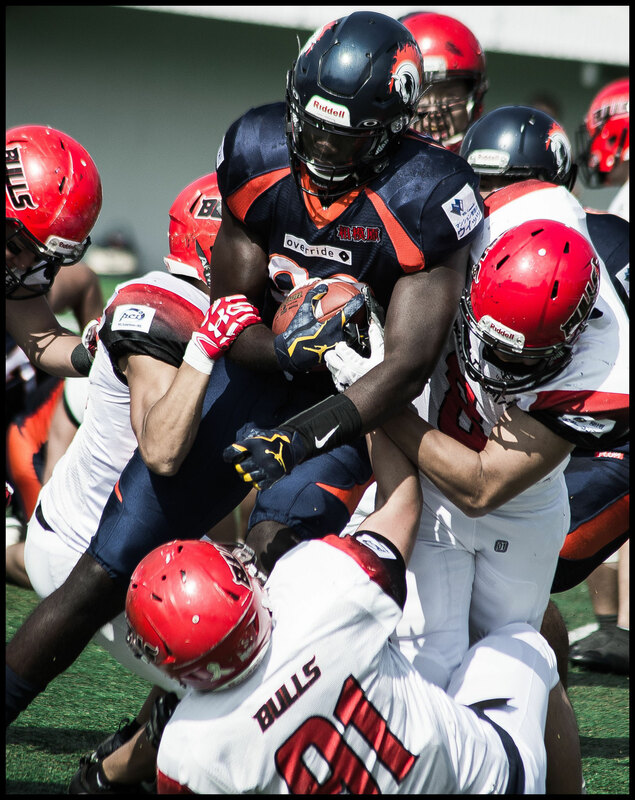 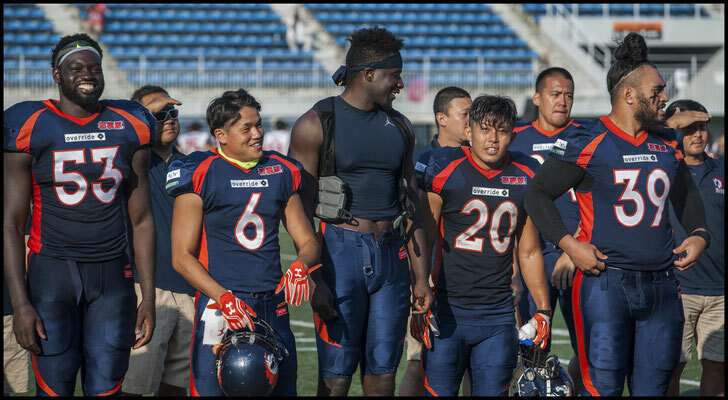 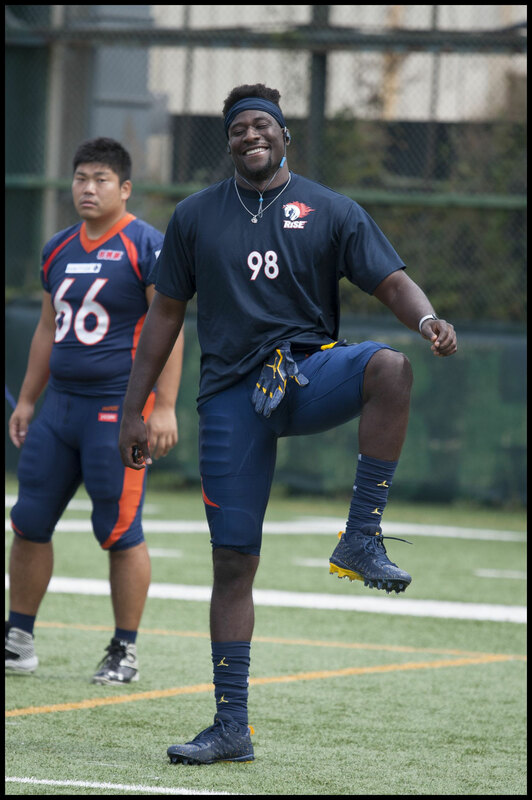 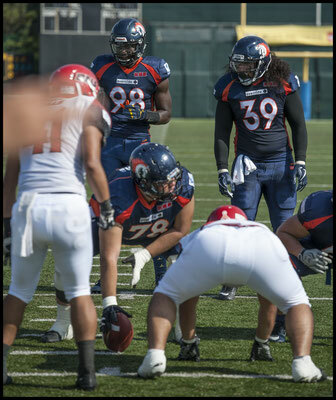 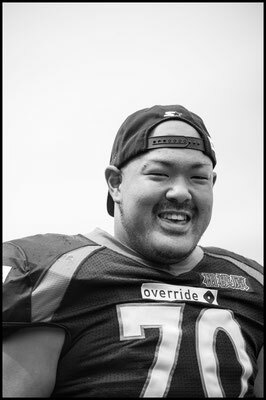 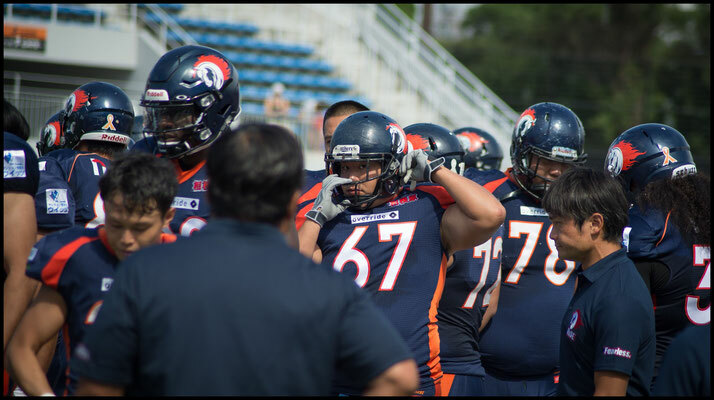 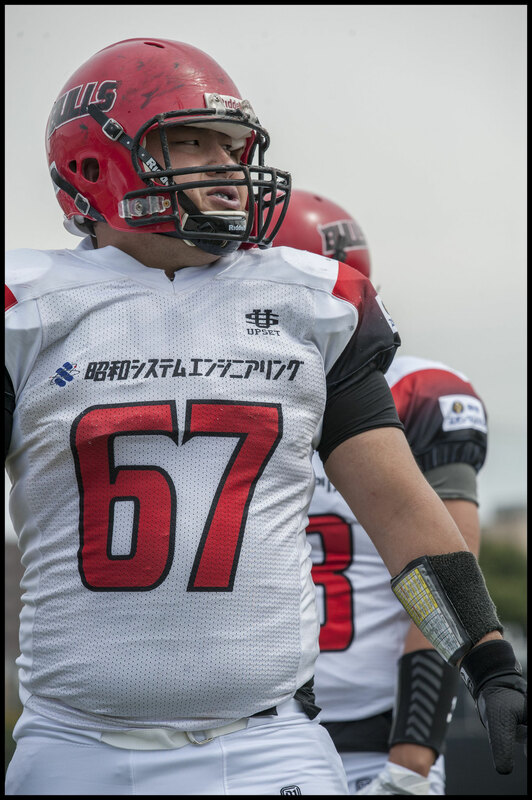 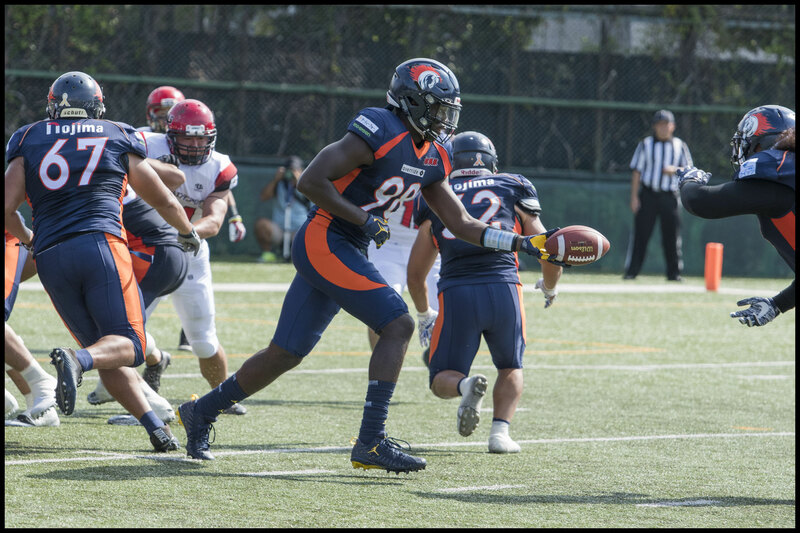 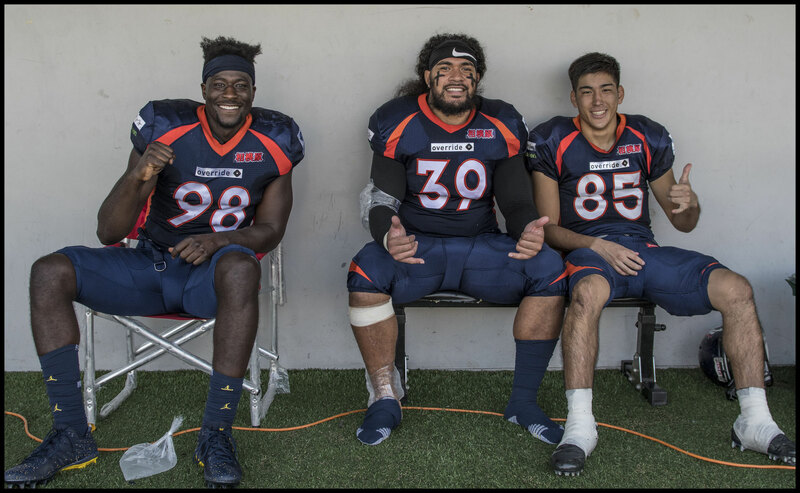 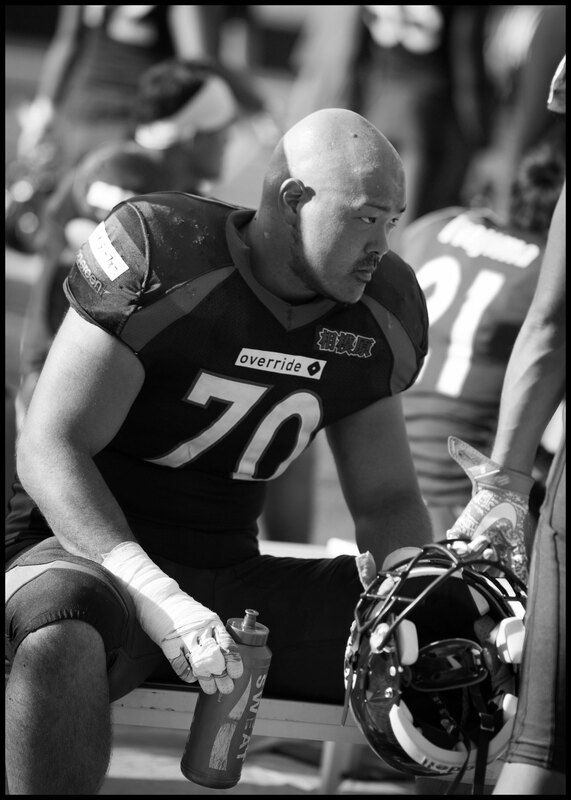 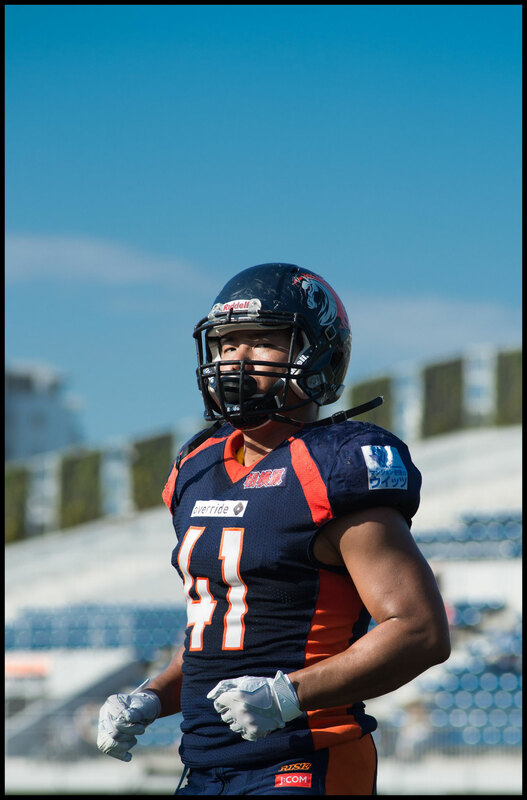 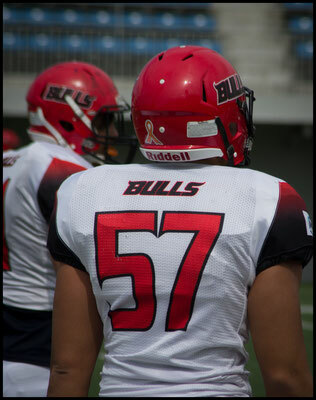 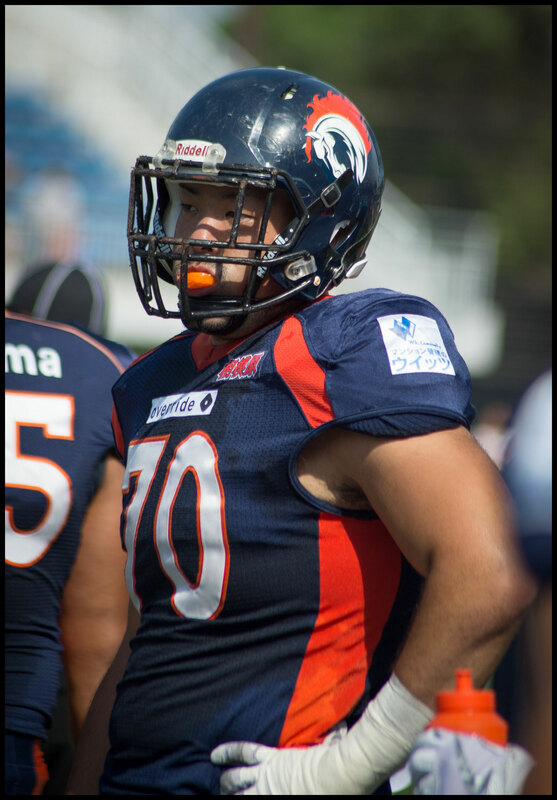 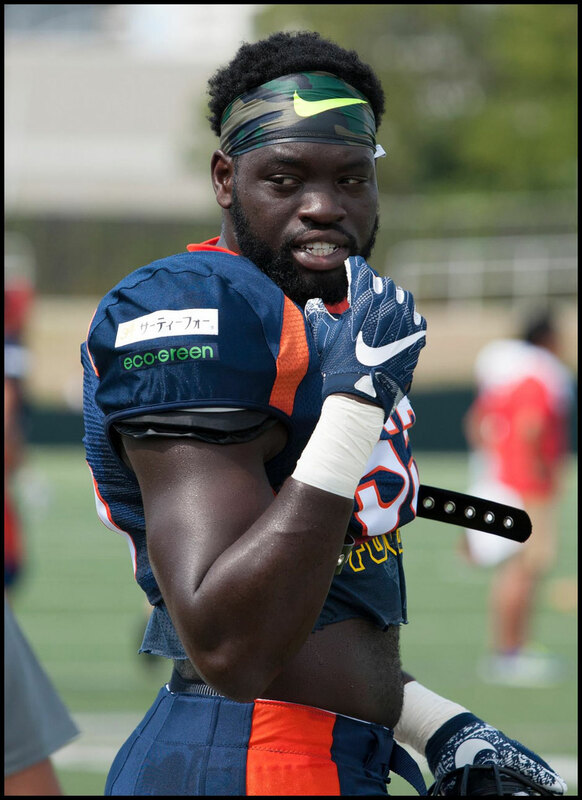 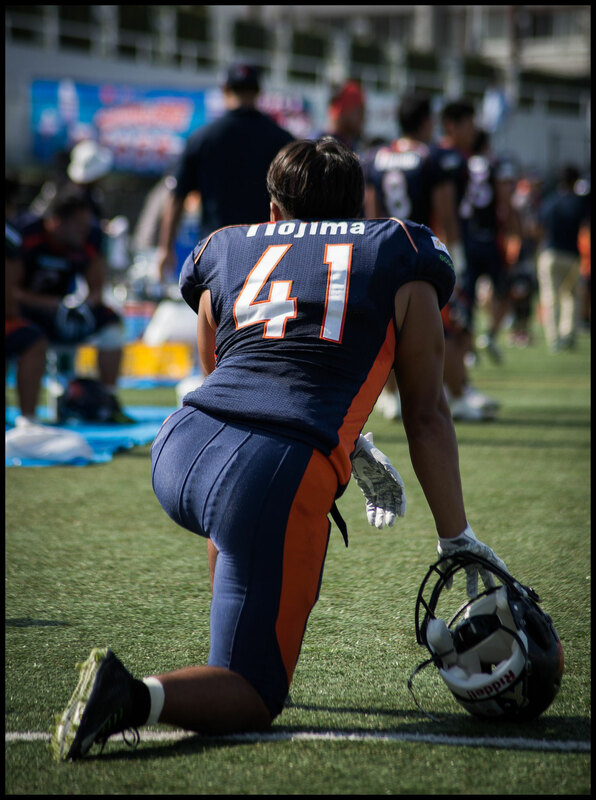 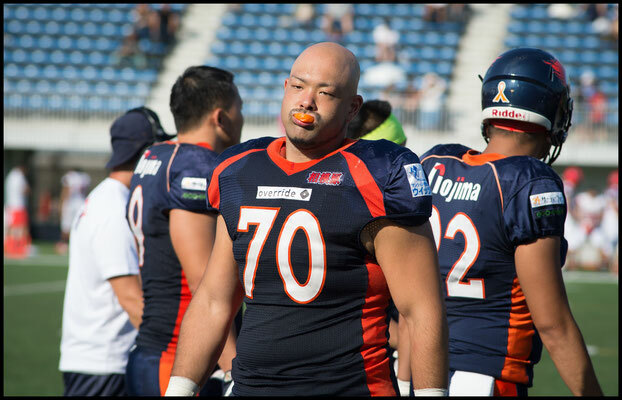 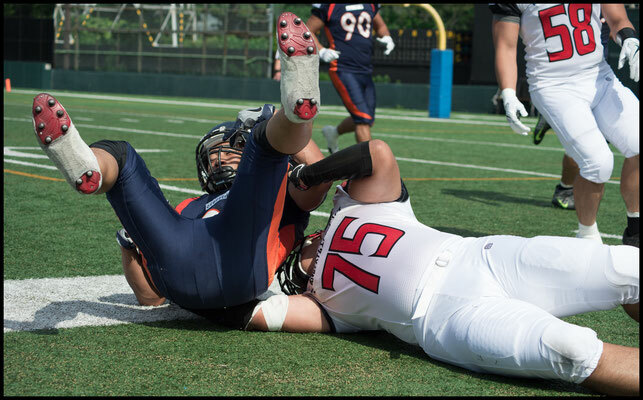 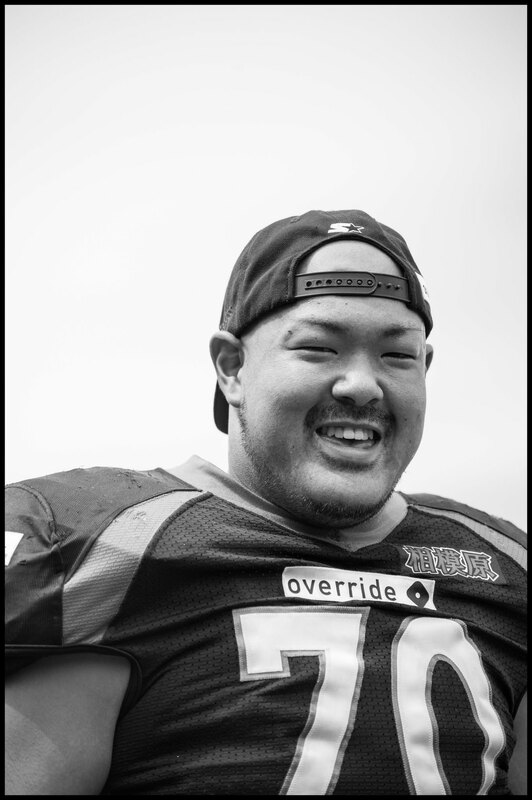 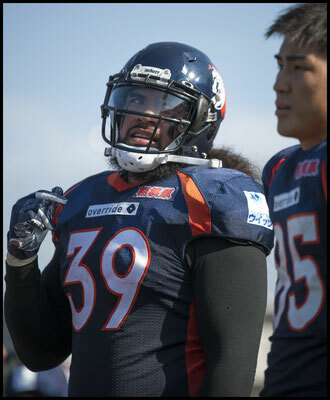 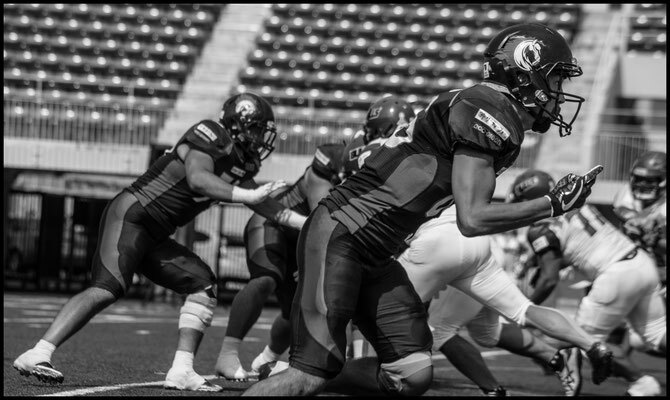 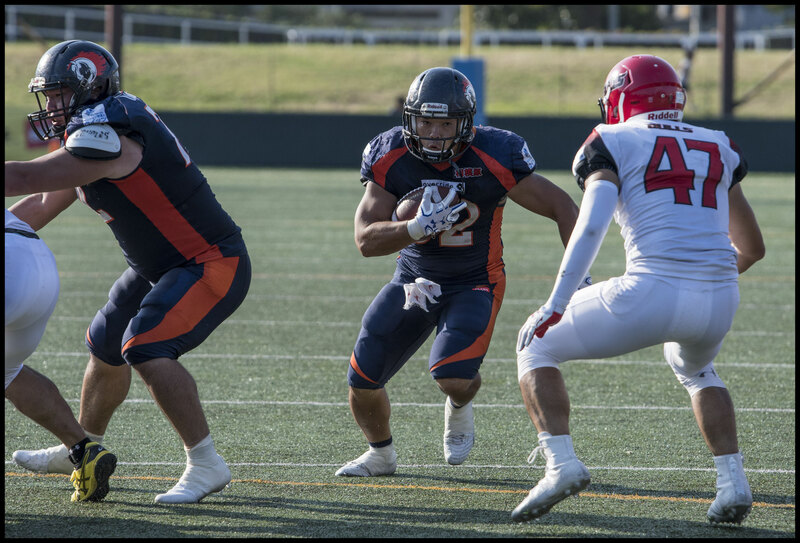 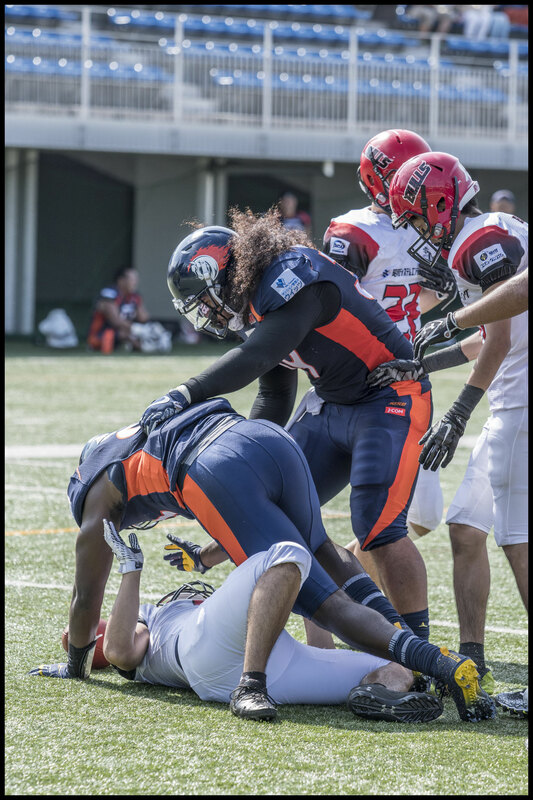 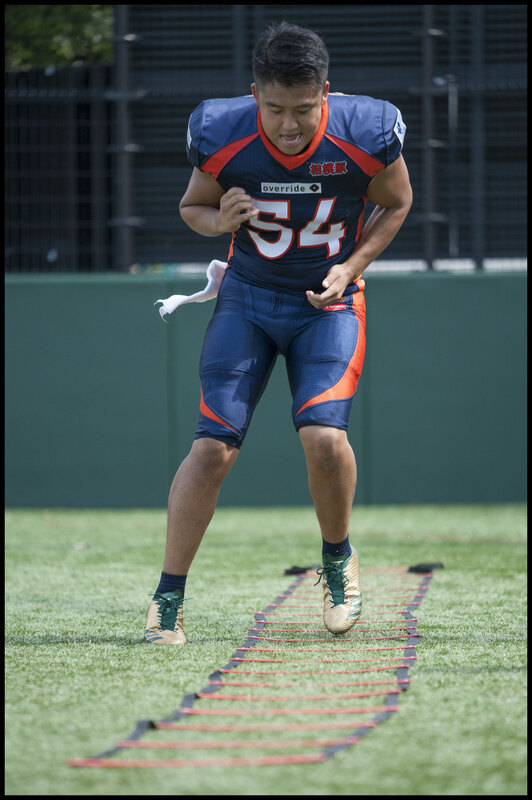 The Bulls could get nothing going all day against a Sagamihara defence that saw new lineman Mario Ojemundia make his debut. 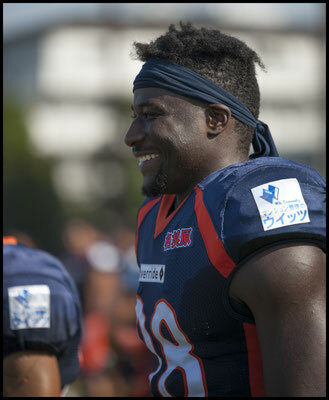 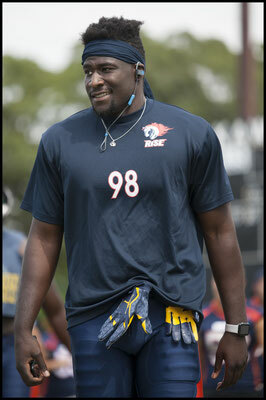 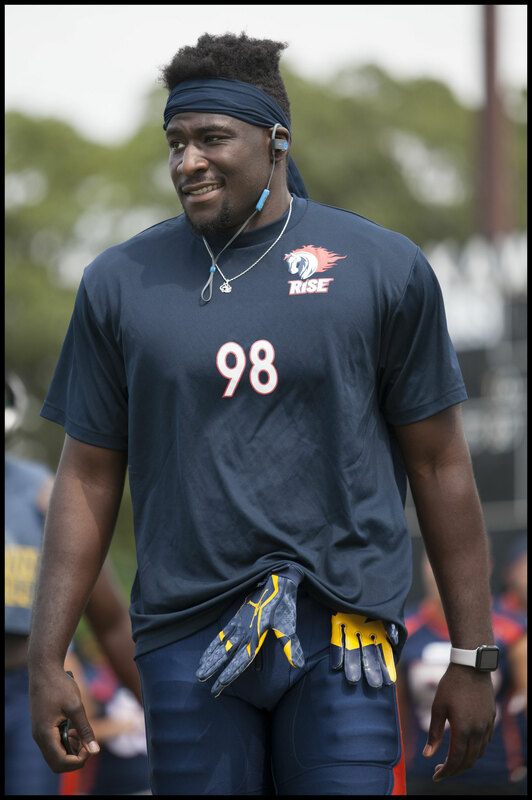 Ojemundia, a graduate of Michigan University, was recruited by Gardner over the summer. His first action of note was being called for a late hit out of bounds but after a discussion the refs picked up that flag. 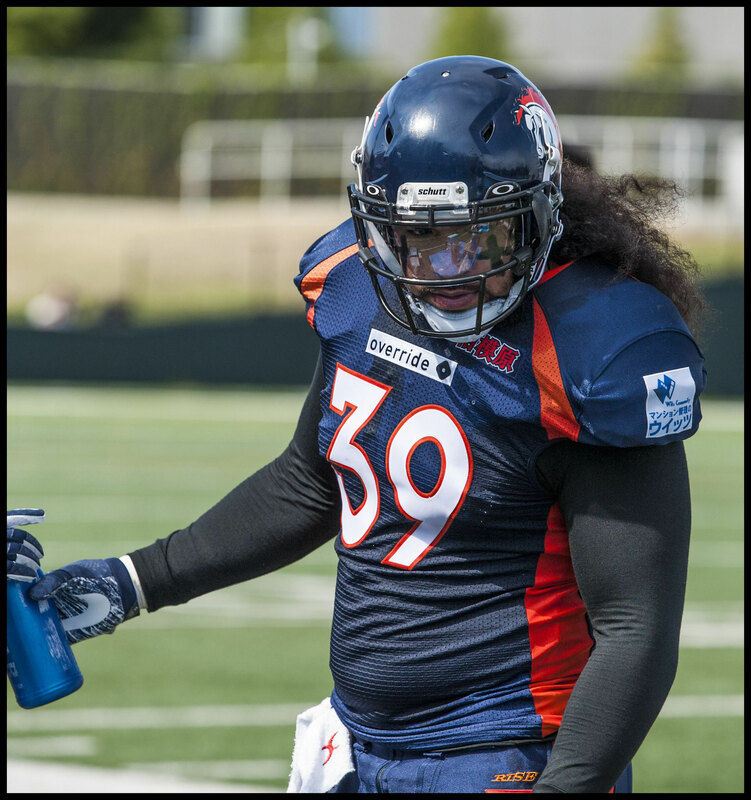 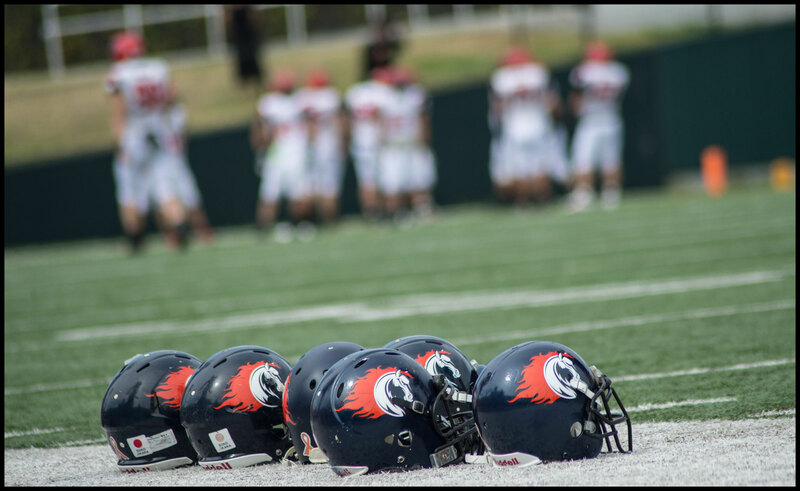 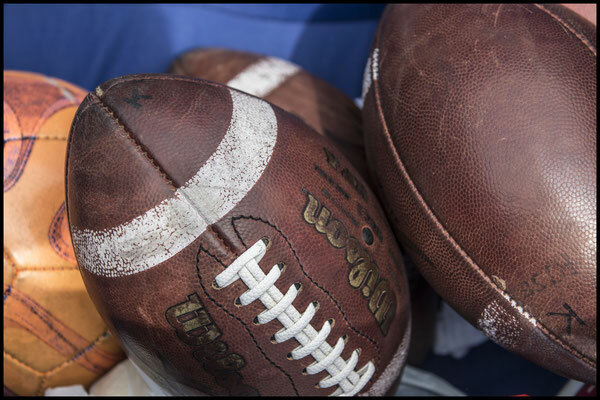 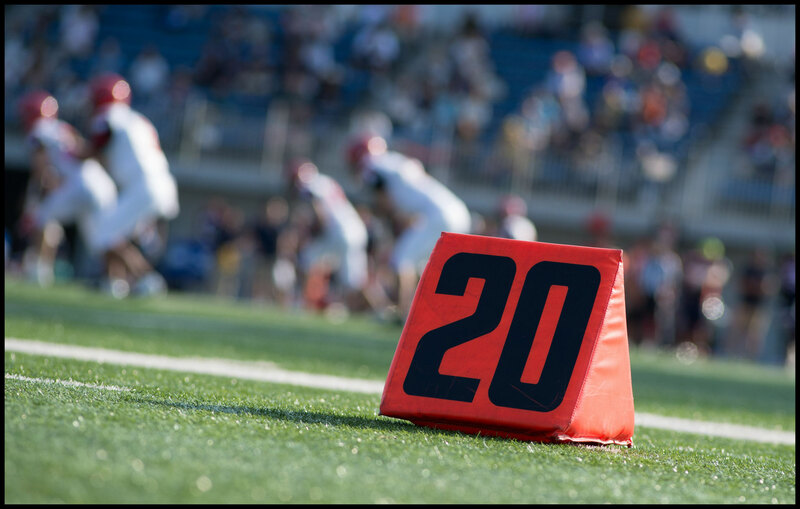 Later in the game his impact was more pronounced and the value he brings was immediately obvious on one play where, pursuing from the backside, he overtook several of his own teammates to chase down the ball carrier and recover a fumble. 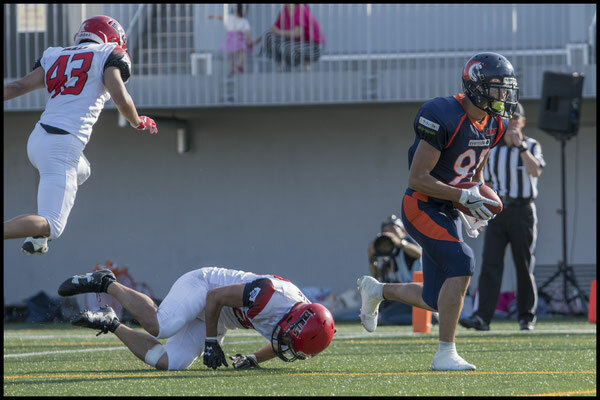 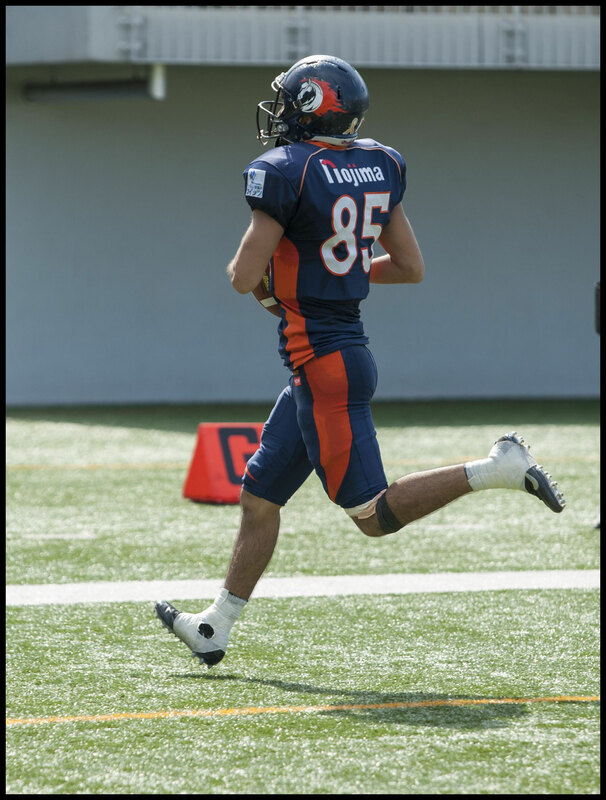 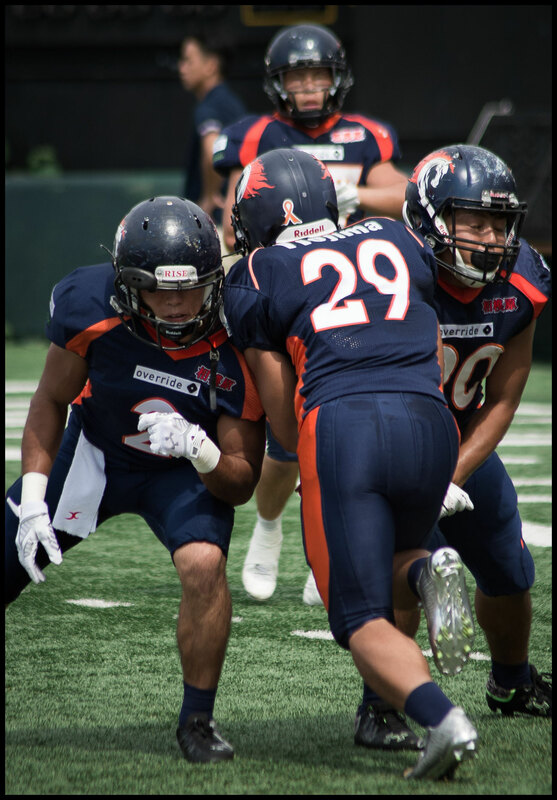 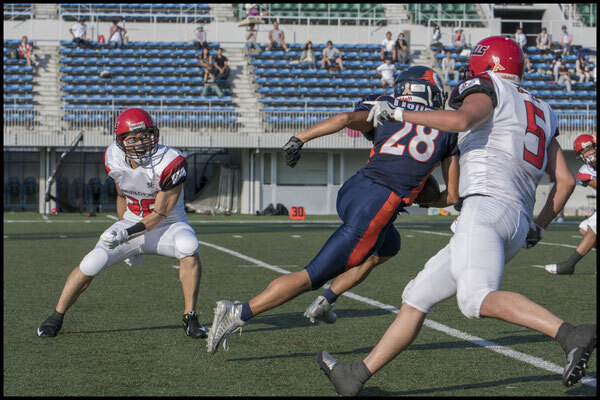 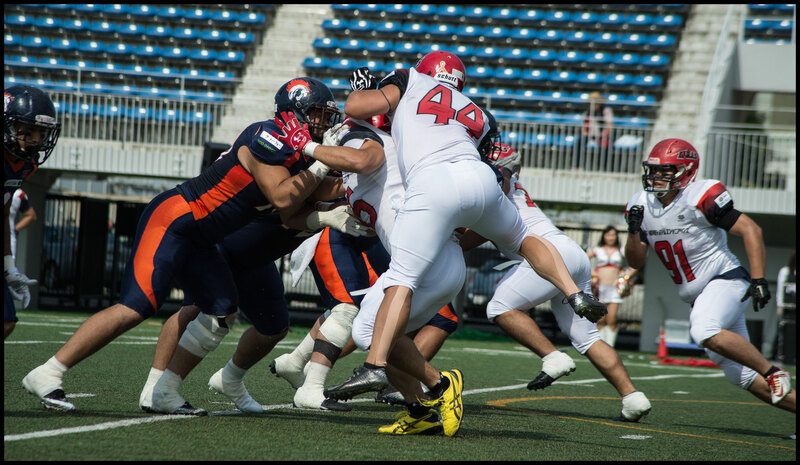 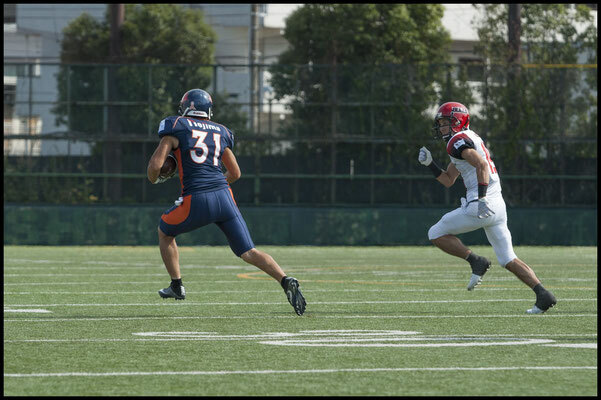 That kind of speed off the edge could be a key factor when Nojima take on Obic in the next game as veteran Seagulls QB Shun Sugawara isn’t the most mobile signal caller in the league. 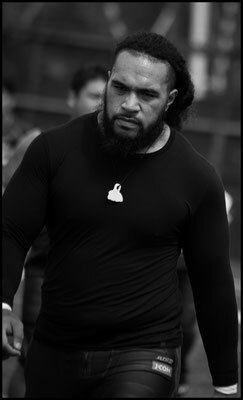 The other new Wolverine on the roster is Sioune Houma, a big bruising 105kg back who can play as either ball carrier or lead blocker. 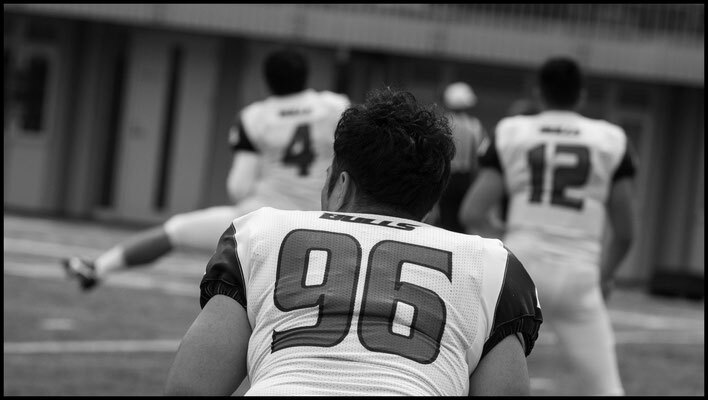 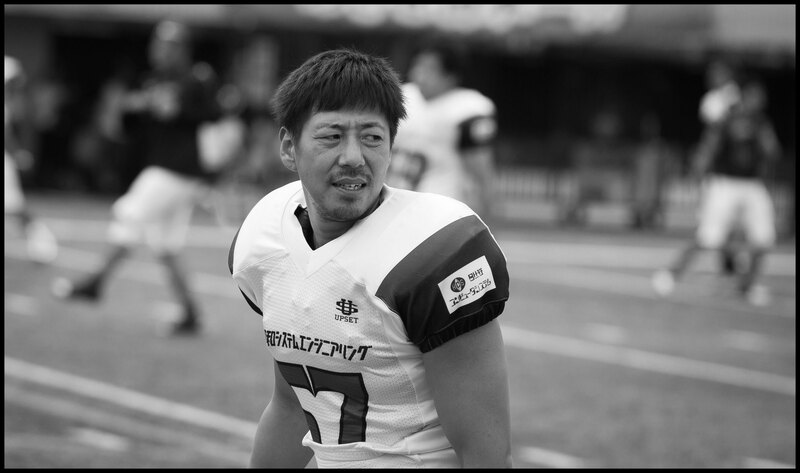 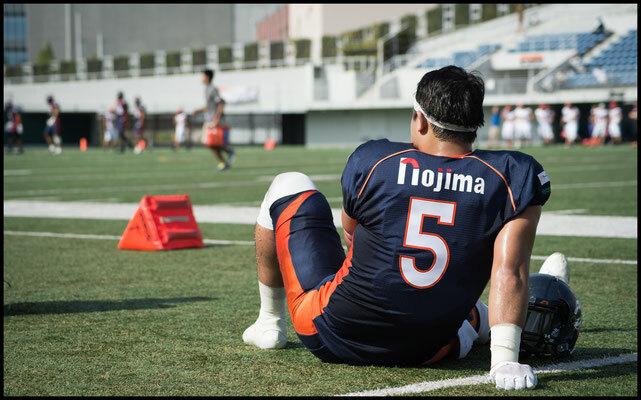 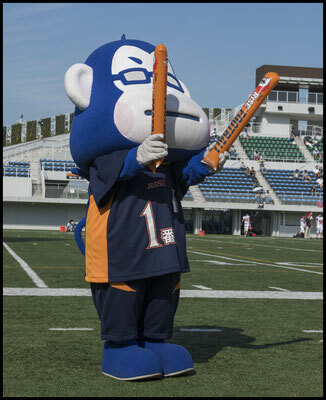 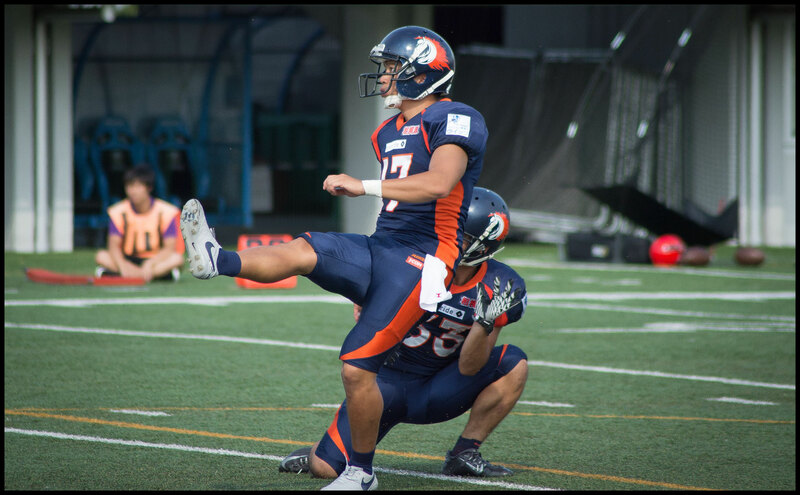 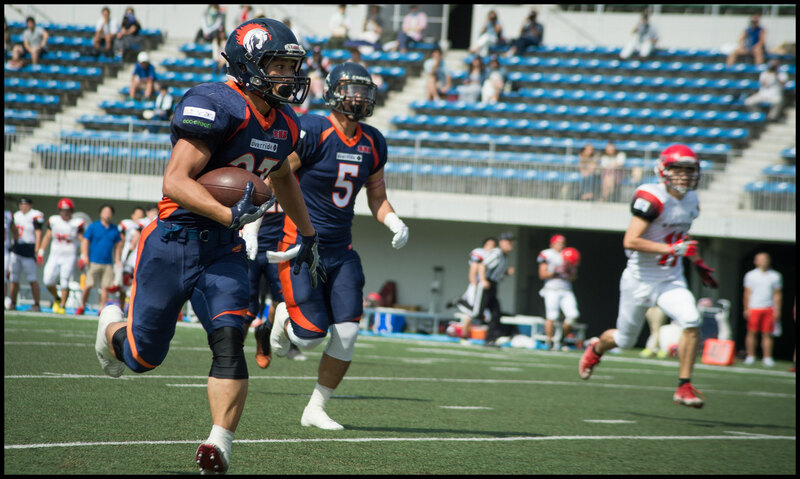 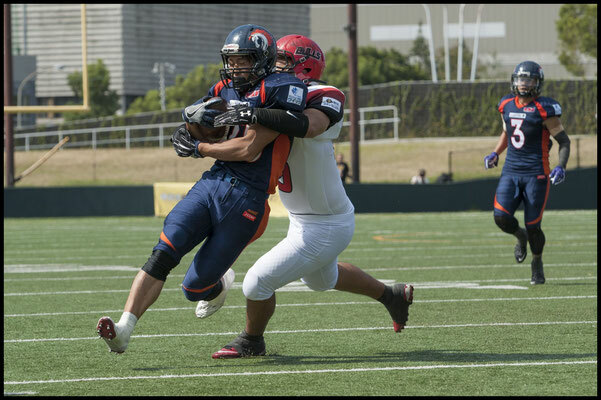 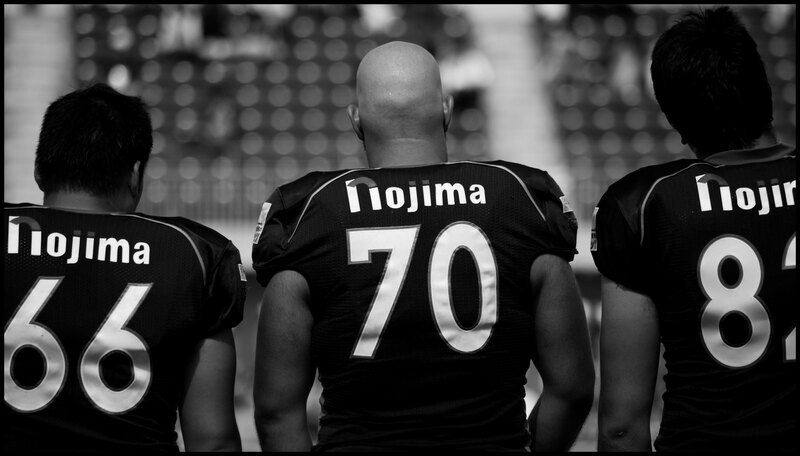 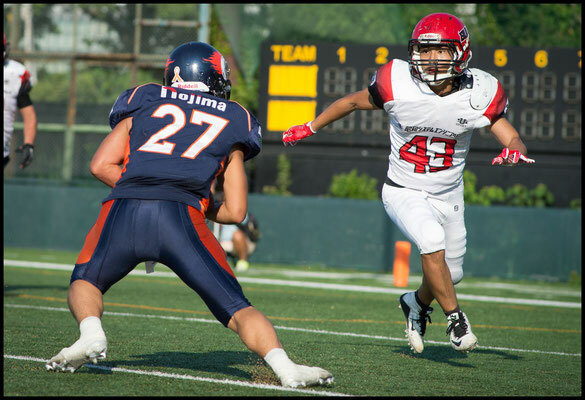 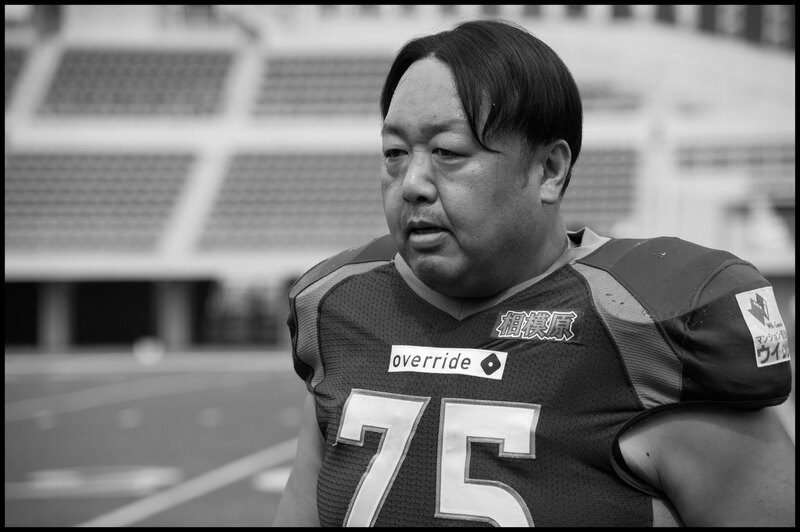 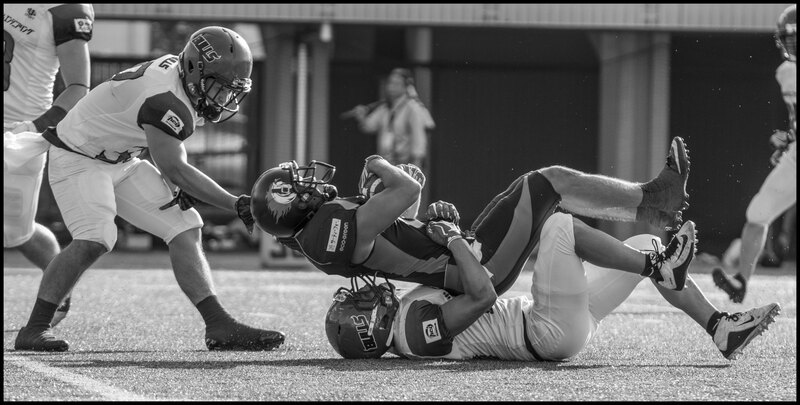 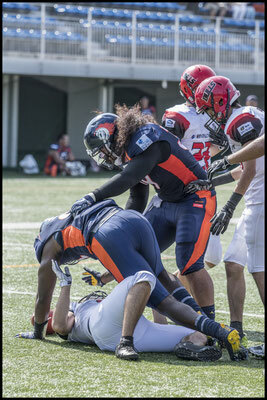 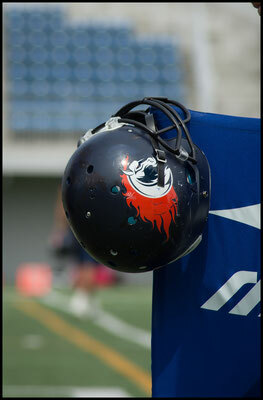 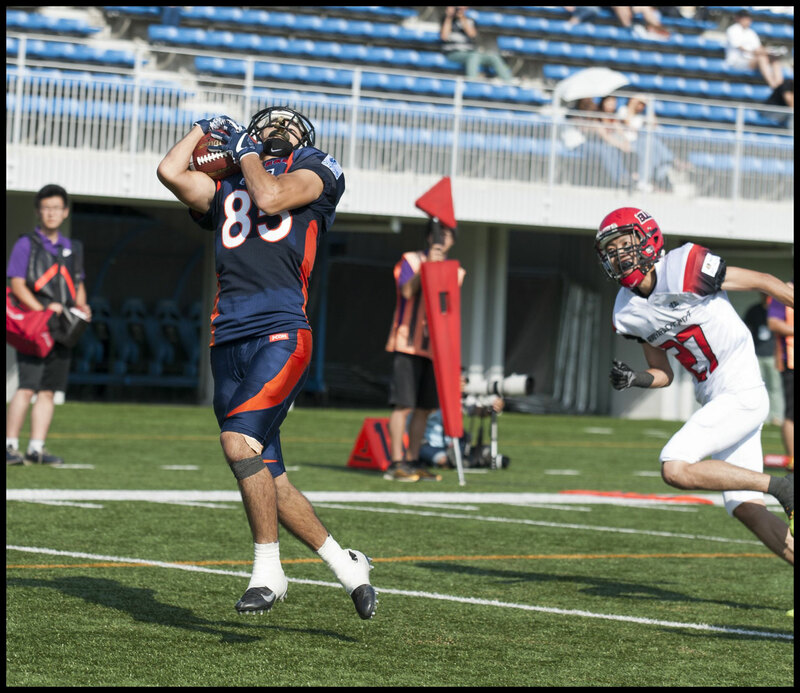 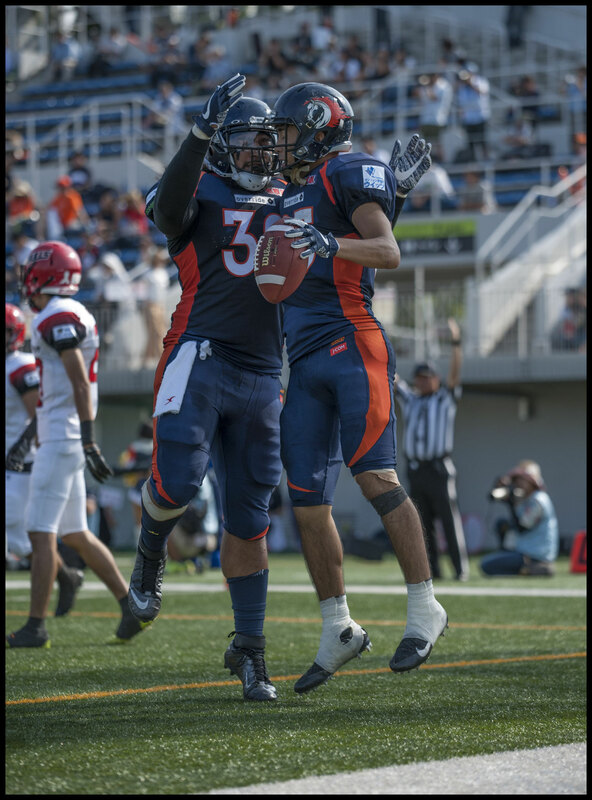 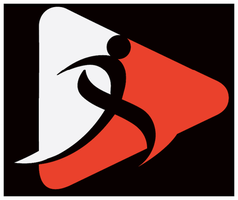 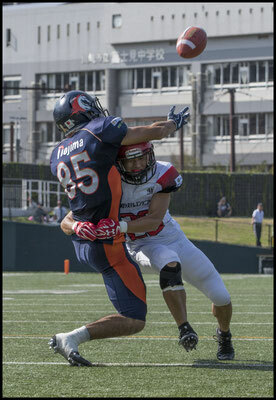 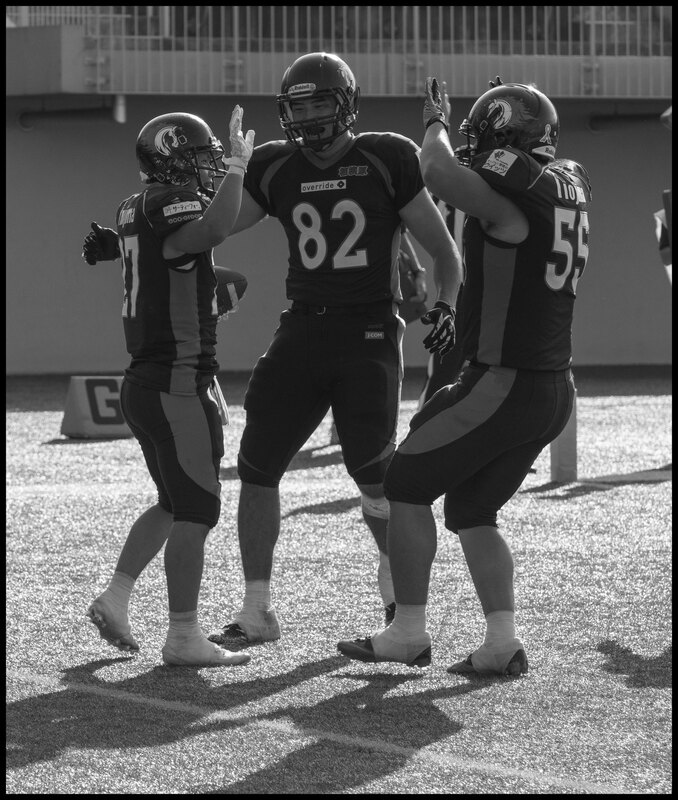 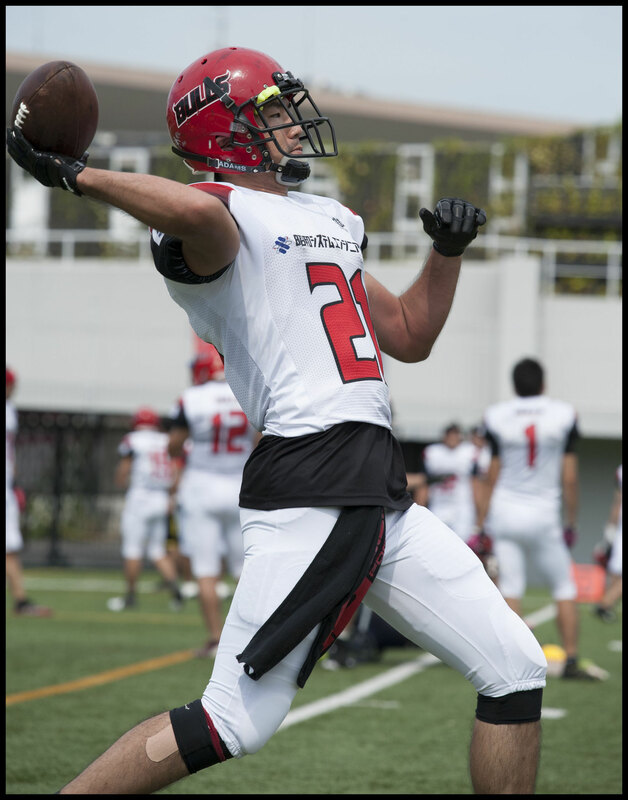 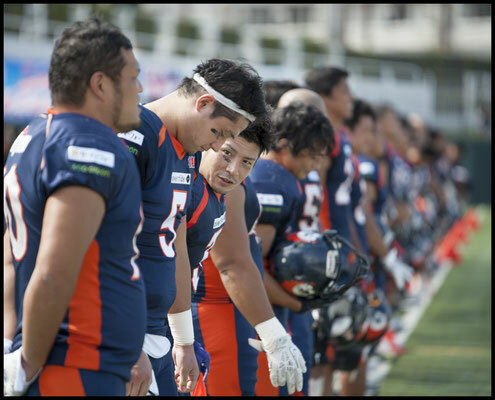 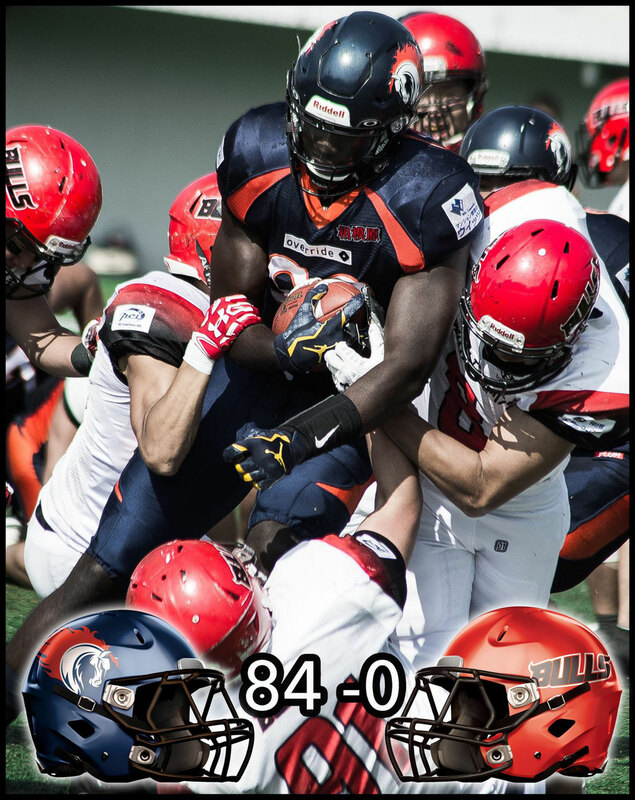 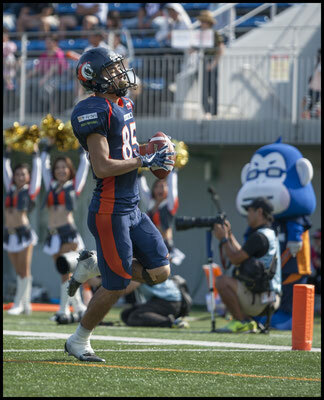 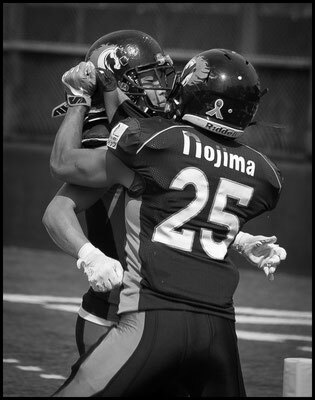 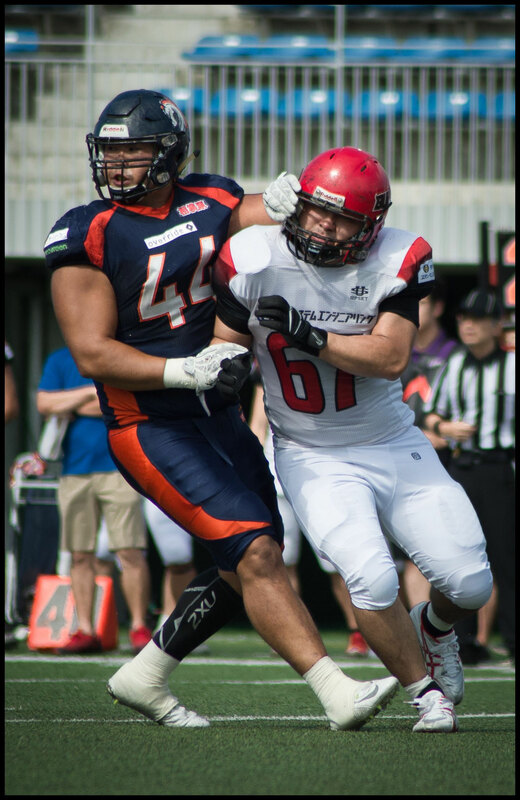 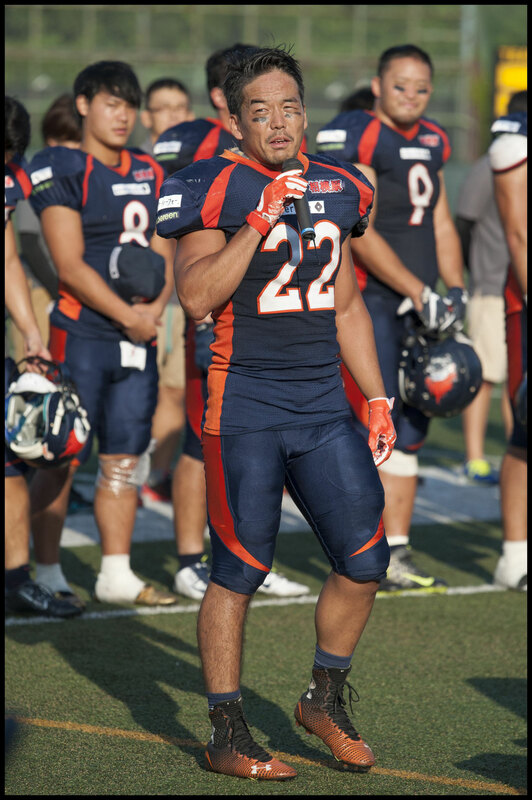 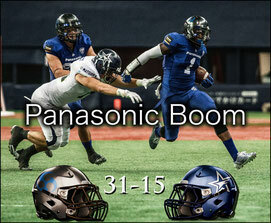 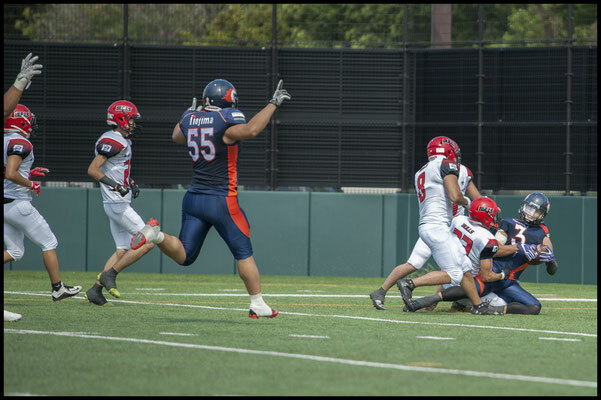 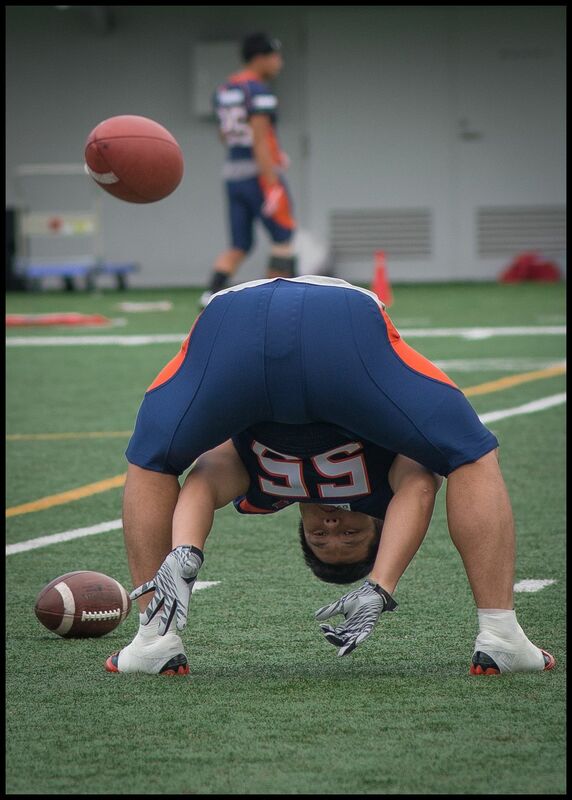 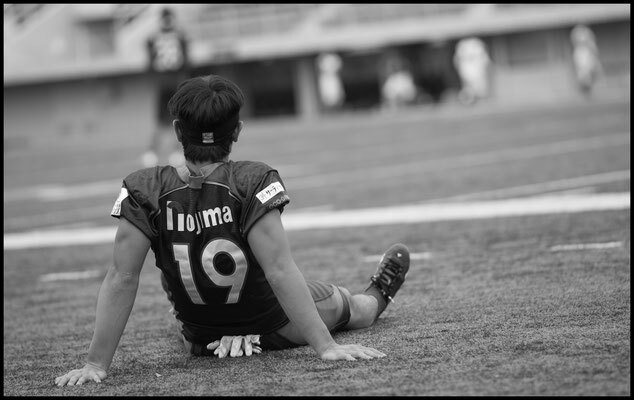 Eight different Nojima players scored touchdowns in the kind of game the XLeague is working to eliminate. 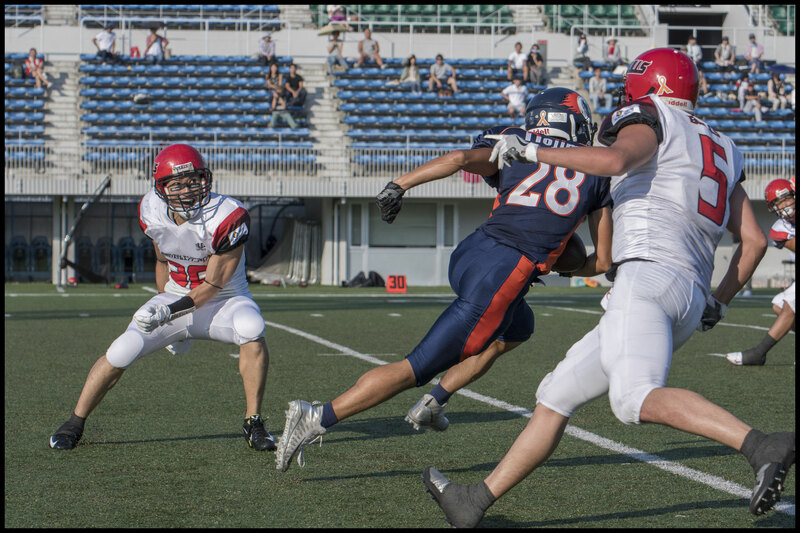 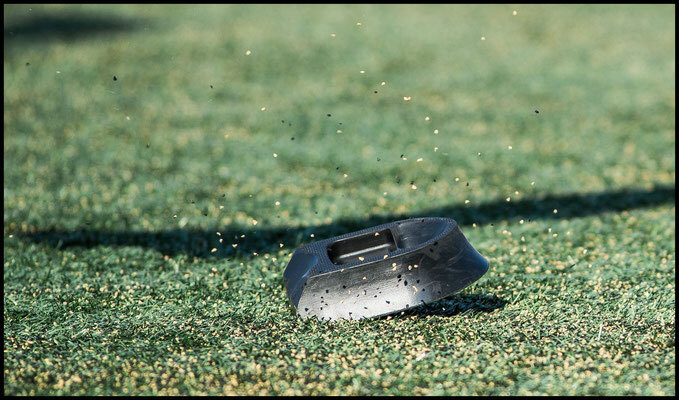 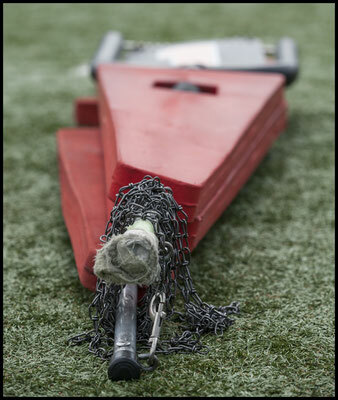 The new system introduced last year has reduced the number of mismatches in the regular season but unfortunately they still happen from time to time. 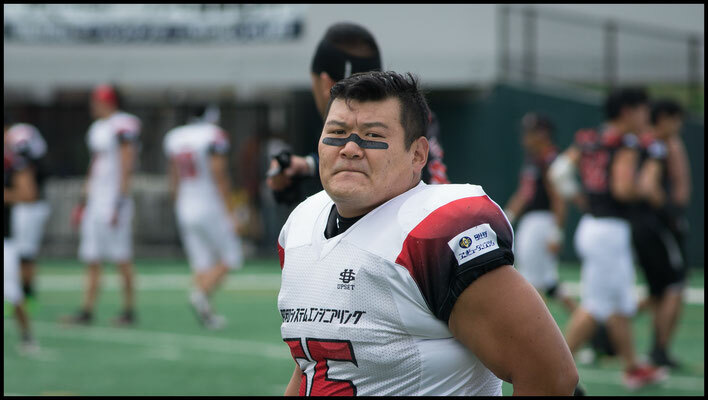 The Bulls actually had twice as much possession as Nojima but just couldn’t do anything with it. 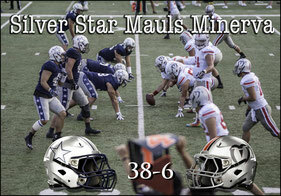 They completed only 40% of their passes and had just 27 yards total rushing. On the bright side Nojima is by far the strongest side they will have to face all year and they won’t be as outclassed again, though it’s hard to see any game where they can actually get a win.